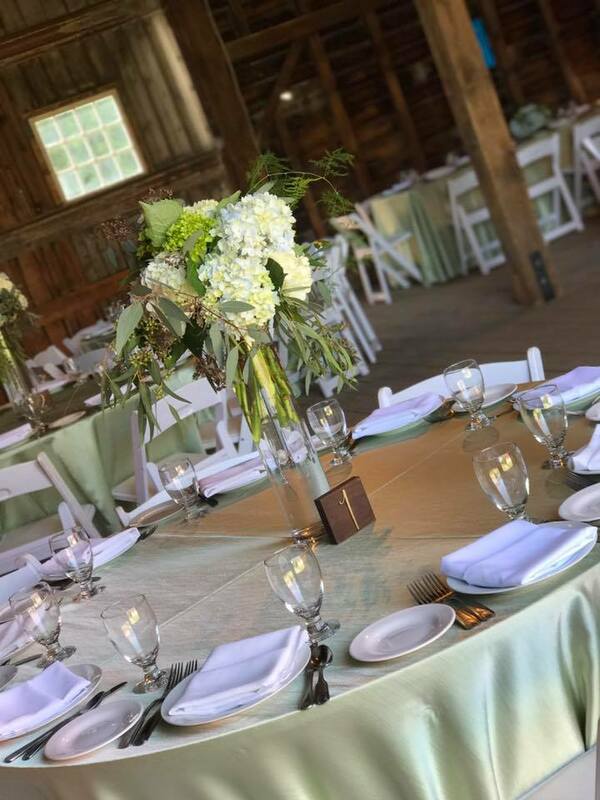 If the wedding of your dreams is a beautiful, rustic celebration, take a moment to consider the Shaker Heritage Barn in Albany for your venue. Originally built as a hay barn in 1915 by the Shakers, it has since been beautifully restored and converted into an event venue. 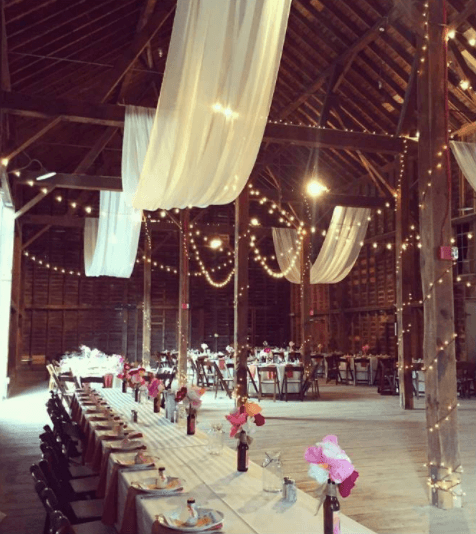 The historic barn features 45 foot lofted ceilings, original wood walls and floors, as well as 2 large cupolas! The grounds are breathtaking and are surrounded by gardens, fences, and trees. It’s a small escape from the city without actually leaving the city limits! 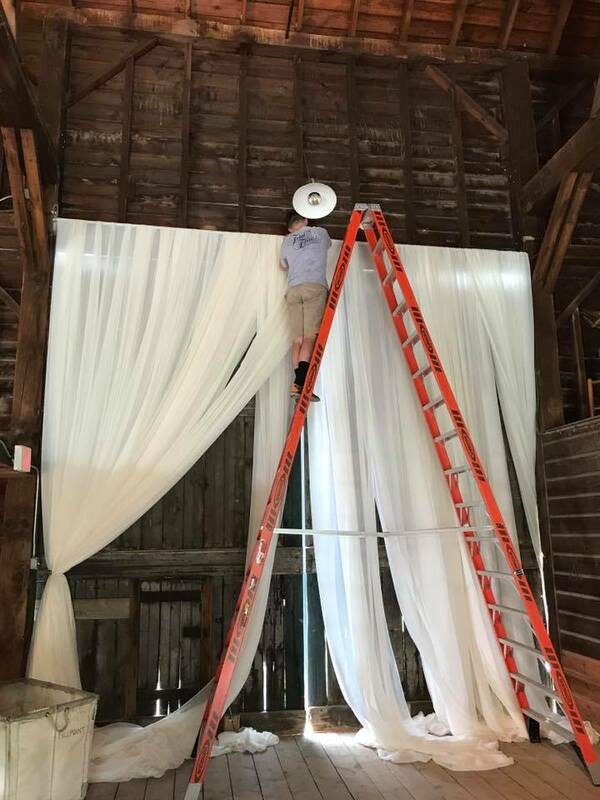 As the exclusive décor and rental company for the Shaker Barn, our team has become experts at transforming the space. While the venue allows for a variety of design options, however, we have staple décor pieces that fit perfectly in the space. One of our favorite looks for the Shaker Barn is soft, rustic, and romantic. To achieve this look we start by creating a visual impact right when your guests enter with chiffon drape on the barn doors. We then continue adding chiffon to bring dimension to the already soaring ceilings. 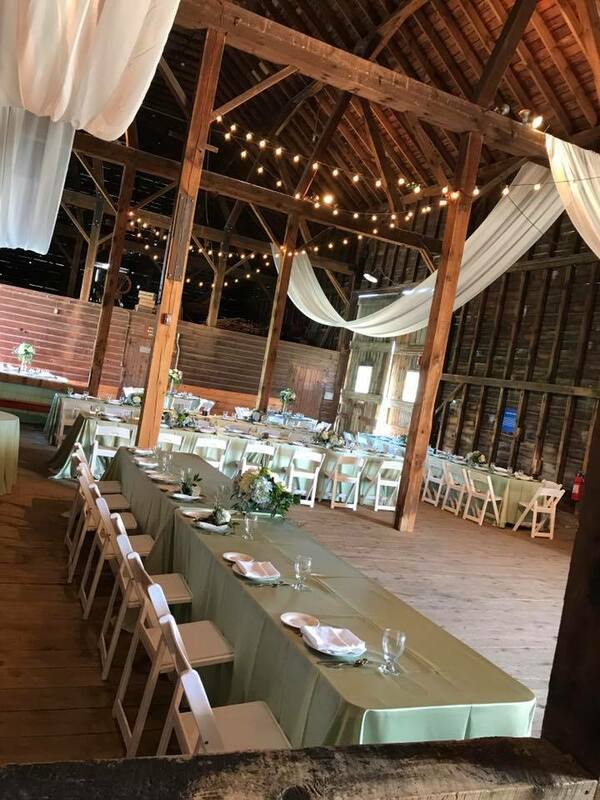 No matter what your vision is for the space, your Event Specialist will be able to create a custom look that brings out the beauty of the barn. 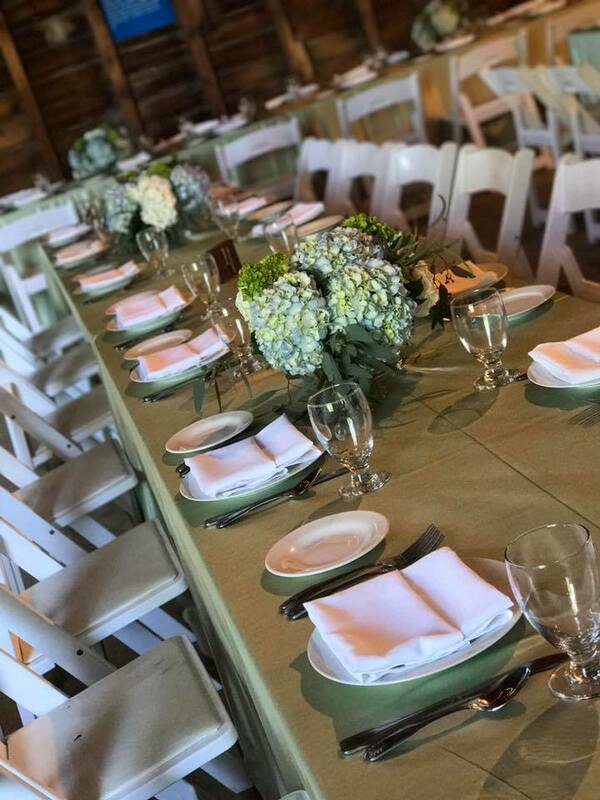 Planning your next event at the Shaker Heritage Barn? Contact us today to start your #TotalEventsTransformation.